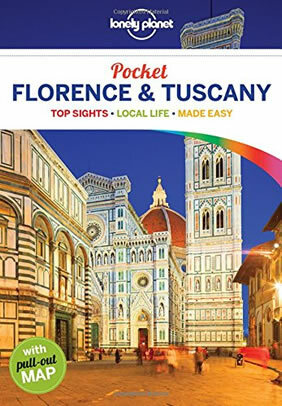 Florence, Montecatini Terme, Lucca, Pisa, Volterra, Chianti, San Gimignano, Siena, Monteriggioni & more! Tuscany is a region in central Italy. 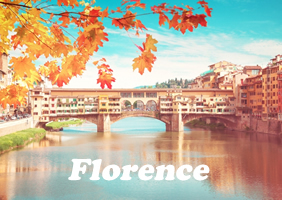 It's capital, Florence, is home to some of the world's most recognizable Renaissance art and architecture, including Michelangelo's "David" statue, Botticelli’s works in the Uffizi Gallery and the Duomo basilica. 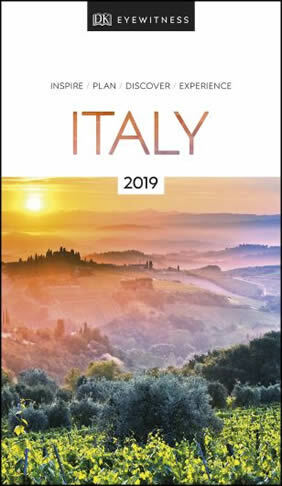 Its diverse natural landscape encompasses the rugged Apennine Mountains, the island of Elba’s beaches on the Tyrrhenian Sea and Chianti’s olive groves and vineyards. Ciao & welcome to Florence! The city who gave the Renaissance to the world and the throbbing heart of the arts! Arrive to your central hotel with a private transfer from the airport. At night explore Florence's gay scene in The Crisco Club or The Butterfly Kiss bar. After your delicious breakfast start your walking tour of Florence with a certified guide. Discover the Gallery of the Academy of Florence with the imposing Michelangelo's sculpture, David. Continue to the city center which is the birthplace and the cradle of the Italian Renaissance and the center of the world's finest art and architecture. Admire the magnificent Santa Maria del Fiore, celebrated for its magnificent dome designed by Brunelleschi, and take a look to the Baptistery's renowned "Gates of Paradise" by Ghiberti. Continue to the open-air museum at Signoria Square, ending at the splendid Ponte Vecchio, known as the "Old Bridge". Visit the Uffizi Gallery that provides insight into the history of the structure and its collections, where you can see the famous works of Giotto, Botticelli and Leonardo da Vinci. After some free time for shopping get back to the hotel and have the rest of the night for some more exploring or clubbing! 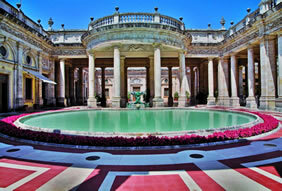 After breakfast meet your driver and depart to Montecatini Terme - the city of the famous Thermal oasis Tettuccio. Leisure with the help of this thermal heaven with a light lunch and connect with your body in this magic area. Get back to Florence in late afternoon for some free time and shopping. 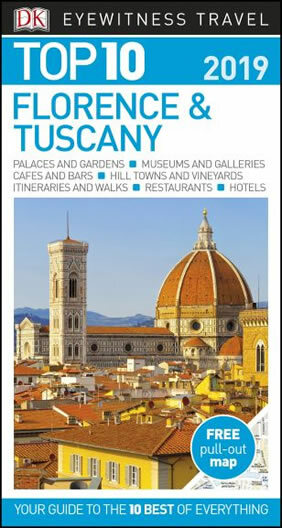 Following breakfast meet your guide for a walking tour to the cities of Lucca, Pisa & Volterra. Lucca, a jewel of medieval architecture, with its massive 17th century walls that completely surrounds the city and visit its famous church of San Michele and piazzas. 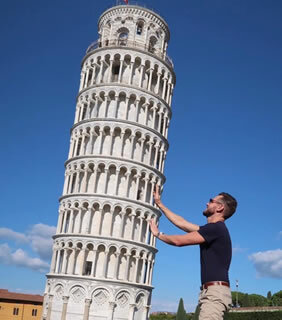 Continue to Pisa -greeted by the famous Piazza del Miracoli with its iconic Leaning Tower, one of the most instantly recognizable structures on earth. 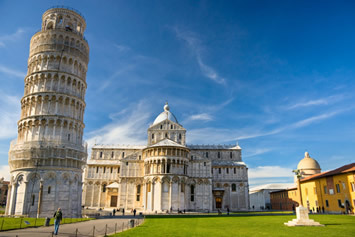 Visit the stunning Piazza del Duomo which creates a unique architectural blend of Romanesque and Gothic styles. Head to the city of Volterra which is situated on a hill and where you can really feel the medieval atmosphere walking through the narrow streets of the centre. Continue to your hotel in the Chianti region and spend an overnight. 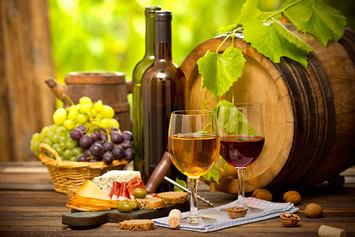 Following breakfast get ready to explore Chianti, Tuscany's Famous Wine Region. "Chianti", world renowned for its quality wine, is the heart of Tuscany. For the complete experience, indulge with the typical Tuscan wine tasting - this is the way to live the unforgettable Italian dream for a day. 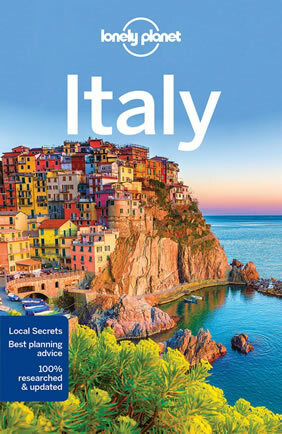 After this amazing day of discovering another Italian natural wonders, get back to the hotel. After breakfast meet your guide and start your walking tour to the cities of San Gimignano & Siena. San Gimignano, an UNESCO World Heritage Site, is a small walled village which is famous for its medieval architecture and towers and its unique skyline. Continue to Fattoria San Donato, a charming biological farm where you can observe the wine production process and taste 3 different types of excellent wine. In the afternoon continue to the enchanting medieval city of Siena, elegantly resides over three hills. Explore the city with a walking tour - discover Piazza del Campo, the huge central plaza where the Roman Forum used to be, now site of the famous Horserace of Palio, Campo Square and the Basilica of St. Dominic. After dinner get back to the hotel for an overnight. After breakfast head to Monteriggioni - a charming, walled medieval town, one of the most important walled castles in the area. Dominates the entire landscape from the top of the hill, this town has not been touched by time. Continue to Gaiole in Chianti - another important city, famous for its delicious wine and olive oil. Tour the city with a fascinating walking tour and then continue to Brolio Castle, a stronghold of the powerful feudal family, the Ricasoli from Cacchiano. Continue your walking tour to the Brolio castle and visit the magnificent gardens with the great story about the 'Iron Baron'. After breakfast, transfer back to the airport in Florence for your flight back with everlasting memories of an amazing trip! 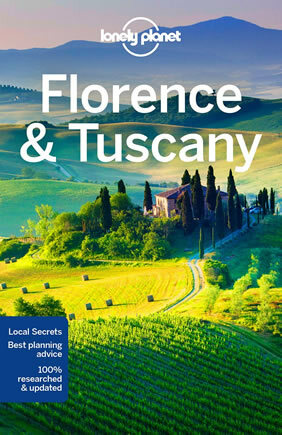 Select from 3 different category Florence & Chianti hotel options. A historic townhouse in the heart of Florence with timeless charm. A wonderful 19th-century palazzo, a few steps from Palazzo Strozzi: characterized by timeless charm and excellent service. Helvetia&Bristol Firenze – Starhotels Collezione perfectly placed at the central point of the city's historical and cultural geography, our doorstep leads to discovery. Featuring free WiFi and a restaurant, guests can enjoy the on-site bar. The Hotel Helvetia & Bristol offers a wide range of services designed to enhance your stay in the heart of Florence. Every room at this hotel is air conditioned and has a flat-screen TV. Certain units have a sitting area where you can relax. You will find a kettle in the room. Each room is fitted with a private bathroom. For your comfort, you will find bathrobes and slippers. At Hotel Helvetia & Bristol, the culture of excellence extends to the gourmet restaurant Hostaria Bibendum and the Bar Bibendum, two distinguished, discreet environments where guests can experience the art of authentic Italian taste. The discerning selection of exquisite wines and special ingredients, the passion of local producers, and the promotion of the territory come to the fore in the expertly crafted cocktails and the rich menu, inspired by tradition. Of all the luxury hotels in Tuscany the Palazzo San Lorenzo stands out for its charm and for its romantic and elegant rooms, for the choice of refined fabrics and the furnishings which blend perfectly with the elegant and exclusive style of the hotel where you can spend relaxing days thanks to the courteous and attentive staff who are always on hand to help and make sure you have everything you need in this charm hotel in Tuscany. The Palazzo San Lorenzo is a luxury hotel in an old Val d’Elsa medieval building which has been meticulously renovated respecting its original architecture, so that guests can enjoy the unique and suggestive atmosphere of the old residence. Modern technology was added and today it is a luxury charm hotel offering visitors a wide range of exclusive services. There are many services that distinguish the Palazzo San Lorenzo, a luxury hotel in Tuscany, like the fact that it is close to a well-equipped golf course and an Olympic swimming pool. And these are real plusses for anyone who likes to enjoy sport in a truly beautiful setting like that in which the Palazzo San Lorenzo stands. Visit the hotel’s site for detailed information on the Palazzo San Lorenzo, a charm hotel in Tuscany! Hotel Cellai is located in the heart of the historic center of Florence, surrounded by monuments, churches and buildings of extraordinary beauty. 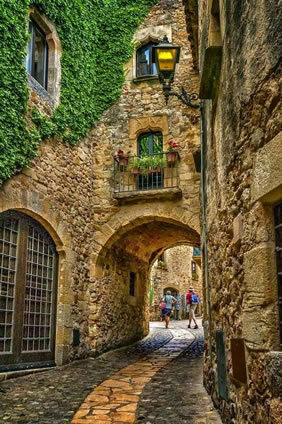 All the most interesting and evocative city sites are within a short walking distance, passing through little streets full of charm and mystery. This exclusive hotel in Florence is very close to the San Lorenzo Market, hosted in a gigantic iron and glass building, where natives gather to buy local food and wine specialties. The Galleria dell'Accademia is just a short distance away, hosting the famous David by Michelangelo, as is the Duomo with its splendid dome by Brunelleschi..
On entering this charming hotel in Florence, you will immediately sense its special intimate atmosphere that makes you feel like being in your own florentine home. Each detail has been passionately chosen and each room deserves a visit. Hotel Cellai style mixes valuable antiques and original artworks with an unexpected eclectic contemporary twist. The entire House recalls the ancient ‘Palazzi’ of times past where young European aristocrats lived while discovering the beauty and the artistic mysteries of Italy. Palazzo Leopoldo is a manor house from which a hotel was converted, a hotel in Radda in Chianti. If you are enchanted by history, tradition, by everything that remind the ancient times. Palazzo Leopoldo is the ideal hotel where to spend a stay in Chianti. Palazzo Leopoldo is a hotel that satisfies everyone has the will to visit the zones of Chianti Classico, where Radda is located. 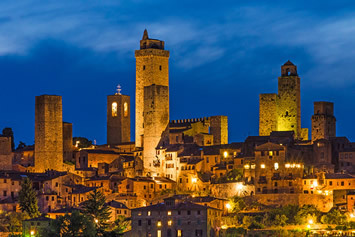 The hotel is near Siena, giving the chance to visit the city. Siena is not a big city, but it is becoming more and more important for the tourism. In the past times Palazzo Leopoldo had noble owner and guests, as written in historical documents. During the restoration, the heritage has been kept, in fact Palazzo Leopoldo can be considered one of most beautiful hotel of charme in Chianti. Many areas are kept or restored in the original version just to give to the guests the sensation of the ancient richness. Palazzo Leopoldo is a four stars hotel in Chianti that follows this line: the beautiful of the hotel must be linked with all the services and comforts of the fours stars typology. All the bedrooms have air conditioning, hydro massage shower, minibar and heating. In the hotel there is also awellness centre, composed by an aesthetic centre, wellness and fitness area and a typical restaurant, the "Perla del Palazzo", that has also a nice enoteca of Chianti wines and national. Holidays in Palazzo Leopoldo are made more beautiful by the fitness and wellness area. There is the possibility to have sauna, solarium, wellness treatments, massages and to use the fitness area with gym equipment and the indoor heated pool. Hotel Duomo, an amazing "point of view" in the center of Florence! Focus for a moment on the location of our hotel and our rooms with a view... There is no hotel in Florence that can be proud of their location like Duomo Firenze Hotel. If you lean out of the rooms’ windows you feel like you are touching the Cathedral with your hands. Having breakfast under the "Brunelleschi's Dome" will be a unique and unforgettable experience. The hotel is located only 700 meters from the main train station of Santa Maria Novella (SMN), easily reachable on foot or by taxi. The Duomo Firenze Hotel rooms include a private bathroom equipped with a bidet. For your comfort, you will find free toiletries and a hairdryer. A flat-screen TV with satellite channels is available. There is a 24-hour front desk, a shared lounge, concierge services and a shops at the property. Guests can enjoy the on-site bar. 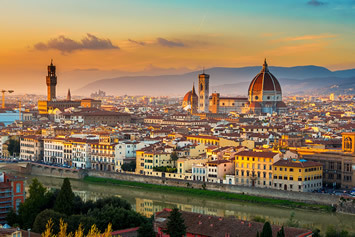 Florence, a centre of medieval trade and finance and long ruled by the Medici family, was the birthplace of the Italian Renaissance, represented by such names as Michelangelo, Botticelli, Leonardo da Vinci and Machiavelli. Florence is world-famous especially for its art and architecture and has been one of the most visited cities in Europe for centuries. Everywhere you look, you can find meticulously designed structures, alleys and piazzas. The proximity to the Chianti and Tuscany regions has 'taken a toll' on Florence and the city is a majot hub for world class wine and olive oil. 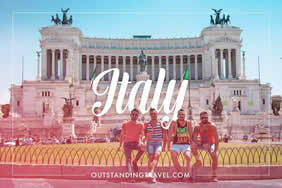 Florence has a relatively small gay scene comparing to the other big cities of Italy. Most of the local gay men who live in the area, are located outside of the city. 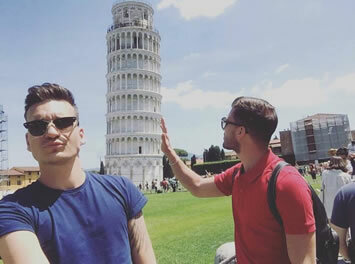 However, Florence has few local gay bars and saunas to offer such as the Piccolo Cafe with its laid back atmosphere and Fabrik club, the largest in the area,15 km from Florence city centre. If you are looking to combine an endless amount of art with great food and wine, Florence is the place for you!